Here are four tips to get more out of a tank of gas! Drop these facts in casual conversation to blow your friends' minds. The city’s mayor said renewable energy made good business sense, but now rates – and anger – are on the rise. The Green New Deal is probably the most ridiculous plan to come out of Washington, DC, since... well, maybe ever. Tesla co-founder Elon Musk has been on a crusade against fossil fuels, including the millions of dollars he’s funneled to the anti-energy Sierra Club. But he seems to be forgetting that the plane propelling him to his press conferences, events and meetings runs on, well… you know. The Energy Information Administration (EIA) released their Annual Energy Outlook, and the future is so bright we need shades. Can you pass the quiz? A group that is synonymous with “Keep It In the Ground” wants its members’ hard earned cash to “fill up their gas tank.” News flash: even if they hop on a bus that doesn’t run on diesel, it will probably use propane or compressed natural gas to get these protesters to their event to, um, protest fossil fuels. For much of the past decade, oil and gas pipeline opponents have argued that we should not be investing in pipelines because it will “lock in” continued fossil fuel use for decades to come. Blocking the infrastructure, they argue, will force investment dollars into renewable technologies instead. The top ten memes of the year! How does fracking play a role in your Christmas celebration? Venezuela, by some measures home to the world’s largest crude reserves, saw oil output drop in September to a four-decade low of 1.17 million barrels. The same month saw North Dakota, owner of the Guinness World Record for the most snow angels, produce a record of nearly 1.3 million barrels. Here are five times that Dwight did or said something that made us think of how ridiculous Fractivists sound talking about oil and gas. Obviously oil production is vital to our economy. But did you know that exports of crude oil are enhancing all the economic benefits from oil production? Pick a pumpjack and we'll tell you what kind of dog you are! The river of oil now hitting the market from U.S. fracking has stunned global energy markets. The U.S. has already leapfrogged both Russia and Saudi Arabia as the No. 1 producer. Will U.S. oil lead to OPEC's demise? A recent article from a publication called “Wired” about anti-pipeline activists so romanticizes the act of vandalizing energy infrastructure that readers could almost be forgiven for thinking these extremists are doing the right thing – almost. Earlier this year, America surpassed Russia & Saudi Arabia to become the #1 oil producing country in the world. Texas played a big part in that – especially the Permian Basin. Despite false claims and accusations from extreme environmentalists, fracking and natural gas actual help our environment! Check out this list to find out how! They aren't getting the national media attention that was focused on the year-long, often-violent protests of the Dakota Access Pipeline in 2016/17 , but activists are still disrupting the building of a number of pipelines around the country. Several major new oil and gas pipeline projects around the U.S. are experiencing delays and disruptions due to the ever-evolving tactics deployed by well-funded anti-development activist groups. Want to spread some knowledge AND annoy fractivists? Football & Fracking: How Do They Relate? It's fall, and you know what that means: football season is back in full force! 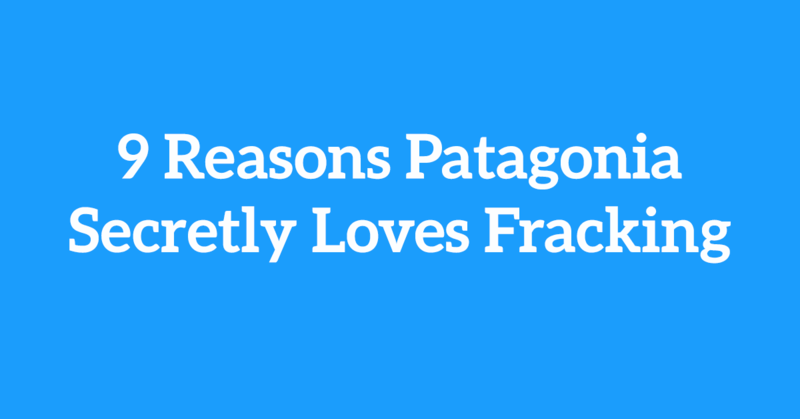 Check out some of the ways America's favorite sport and fracking cross paths! Well, it’s official: America is the global champion of oil production, and it’s all thanks to fracking. Are You A Natural at Roasting Fractivists? All told, the widespread environmental and health-related calamities that anti-fracking activists claimed shale development would create have simply not materialized over the last decade. An organization claiming to defend “the environment” accepts millions of dollars from an industry, refuses to disclose the source, and then advocates on behalf of that industry. Would you call that a front group? The best part is that we can all laugh at him, because his campaigns have been a great big #FAIL. How much do you love fracking based on your zodiac sign? What do future cities look like? These Celebrities’ Carbon Footprints are How Big!? Do Fossil Fuel Protesters Know How Much Those Fuels Impact Their Lives? A combination of environmental activism and state regulation has forced Youngstown to repeatedly pay for elections that have not only failed but would be illegal under state law even if they were to get voter support. Days after Spreading Fake News, OPI Calls for Raising Taxes on Oklahoma Energy. Again. Why Is the Oklahoma Policy Institute Spreading Fake News about Fracking?